The Óptimo Custom Hatworks workshop in Bisbee, Arizona, handcrafts bespoke hats using classic tools and techniques. At the age of 22, S. Grant Sergot decided to head west, leaving behind Ann Arbor, Michigan, and eventually landing at the Grand Canyon during one of the worst winters in years. As he was driving his truck from the South Rim to Havasupai, he happened to spot something that would help him weather the storm, and change his life forever. 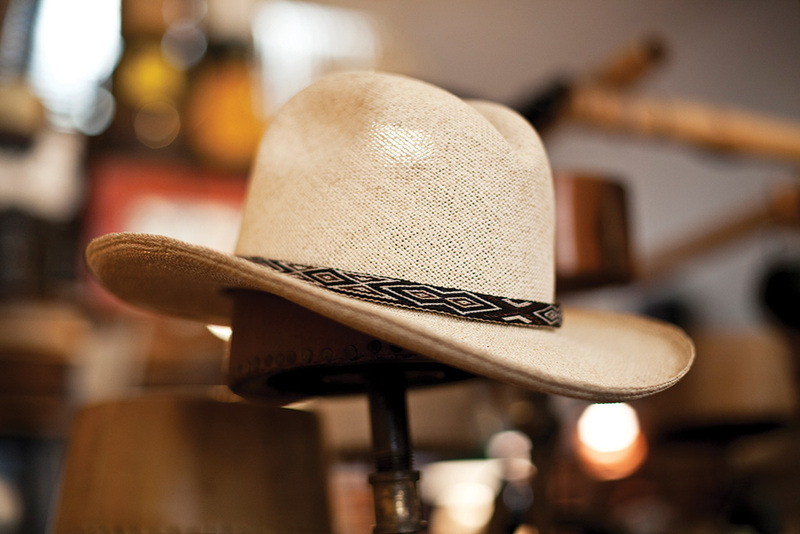 “I found this old ranch hat on the side of the road, all blown out,” he recalls. 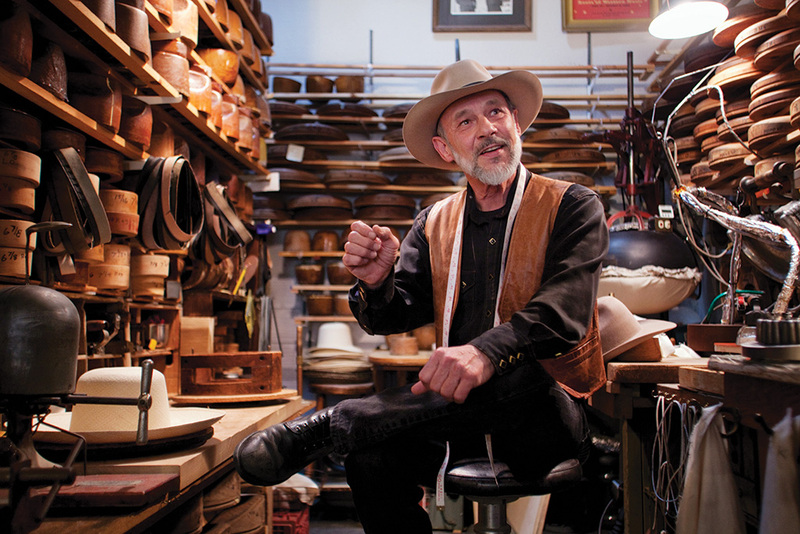 After some years of self-teaching in the early 1980s, Sergot turned his passion into a business in Bisbee, Arizona, launching Óptimo Custom Hatworks. Today, at age 66, he says he is one of only a handful of milliners left who provides a truly customized experience. Sergot’s bespoke process considers a client’s body type, skin tone, eye color, the line of the jaw and proportions of the face, as well as the hat’s intended use, in finding the ideal fit and style. Master milliner S. Grant Sergot of Optimo Hatworks in Bisbee, AZ. Also skilled at restoration, Sergot tells how people are thrilled to see a hat brought back to life: “When the client picks up granddad’s hat, and it looks like it’s brand new and it now fits the client, it’s very satisfying,” he says.